Boat is in De Pere, Wisconsin. 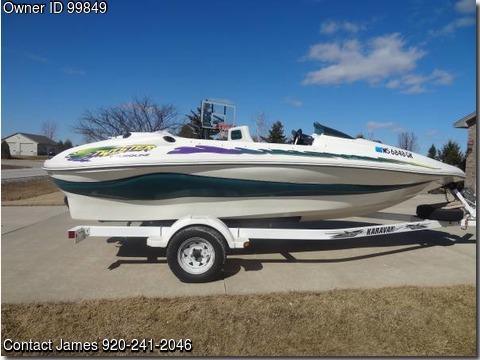 For sale 2001 18′ Euroline Twister 175HP Jet Boat and trailer – BEST OFFER. Good condition and runs very well. This boat is fun to spin and have fun with as well as pull skiers/tubers. It has a V6 Mercury SportJet motor and it tops out at 42mph.The only thing wrong is the front seat and rear seat cushions are coming apart.